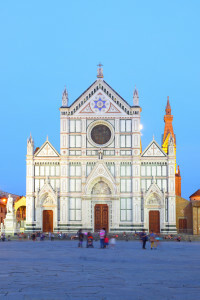 The Basilica of Santa Croce | Che Bellezza! A pleasant 1 hour tour discovering the treasures held inside one of the most beautiful churches of Florence and all over Tuscany! 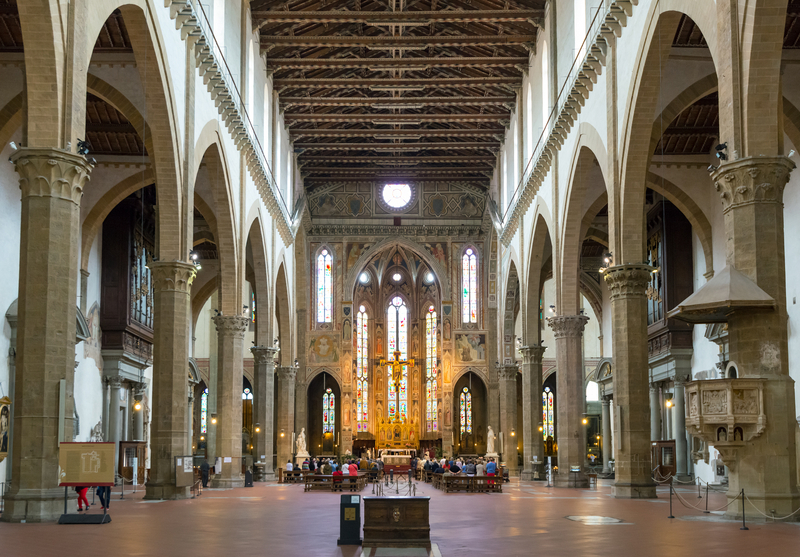 You will visit the beautiful Basilica of Santa Croce (Basilica of the Holy Cross), place of Franciscan memories in Florence, still permeated with great spirituality despite the large turnout of tourists. You will lose yourself in admiring the beauty of its interior architecture and precious works of art! It will be a very interesting experience to discover the tombs of great artists, writers and scientists kept inside the Basilica, which are real sculpture and painting works of art! The great Italian writer Ugo Foscolo called it “The Temple of Italian Glories” (“Tempio dell’Itale Glorie”) just because of its numerous graves of illustrious Florentines and Italians… The great Michelangelo, the scientist Galileo Galilei, the composer Gioacchino Rossini… And many more! 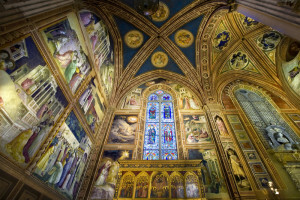 You will also see live the wonderful chapels frescoed by Giotto and Giottesque artists between the end of the 13th and the first half of the 14th century, as well as the amazing sculptural masterpieces made for the church by the great Donatello! A fascinating tour through art and faith, discovering one of the most incredible architectures of Italian Gothic style! 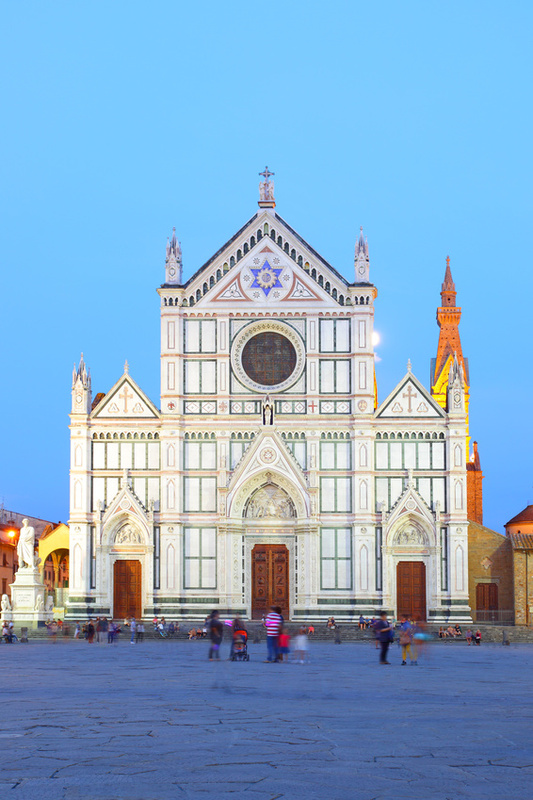 The price does not include the entrance ticket to the Basilica of Santa Croce.